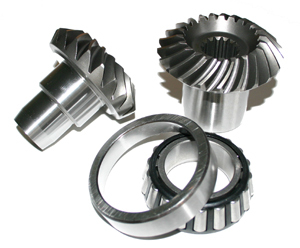 We are able to provide you with a range of high quality products for Mercruiser sterndrive alpha one generation I lower gear Set OE# 43-878087 A4 at the lowest price in the country. Indeed, Sterndrive Replacement has distinguished itself from the competition specializing in marine products using our expertise to get the best products at great prices. Across the U.S.A., we are the only reference you need. Fits: SE106 and SE116 also Mercruiser sterndrive alpha one generation I & II Sterndrive. Includes 3.500″ O.D. Forward Gear Bearing.